An infant car seat cover is enormously useful. They are popular and it's easy to see why. The major manufacturers of car seats do a lot of research and testing to make sure the seat is safe. That's the most important thing. But they tend to be fairly conservative on the fabrics so that they appeal to most people. 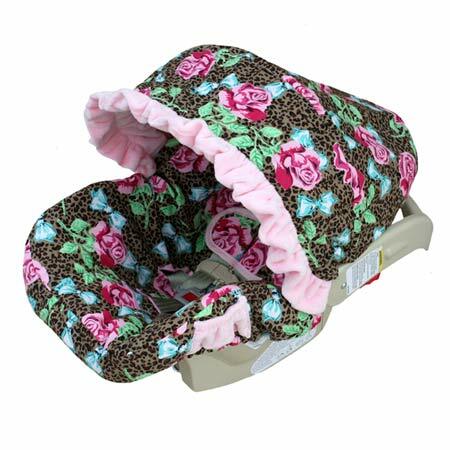 Getting an infant car seat cover allows you to customize and personalize your baby's car seat. Whether you're trying to protect the original seat fabric or give your baby a unique designer ride, covers are the way to go. Many are waterproof and most are washable. They range in price from $20 to well over $100 and are made to fit certain models of car seats. You can also get them custom made. Sometimes people want to use an infant car seat cover to "freshen up" a used seat. This can be OK, if, for example, your first child is a boy and you want to spruce up the seat for your new little girl to make it look new again. If your car seat is more than 5 to 10 years old, you should not reuse it, with or without a new seat cover. Safety standards change and wear and tear can weaken the structure putting your baby at risk. If you have been in a moderate to severe auto accident, you should definitely replace your car seat. It's not always obvious what damage the seat may have. We don't recommend buying a used car seat or even taking one from a friend since you will not know if it has been in a crash. Moms in cold weather climates often look for an infant car seat cover to keep baby warm in their seat without the need for a winter coat. Baby will be more comfortable and fit better in their seat without a jacket. Depending on the fabric and style, a car seat cover can feel like placing a blanket over your little one. A few of the well-known manufacturers include: Hot Toddies, BumbleRide, Ritzy Baby, Caden Lane, Messeez, Baby Snuggler, Baby Bella Maya, Babble Chic, Lilly Pad and Itzy Ritzy. When you use a cover, make sure that it fits well and doesn't interfere with the safety features of your seat. Especially, make sure that the harness straps are not restricted. 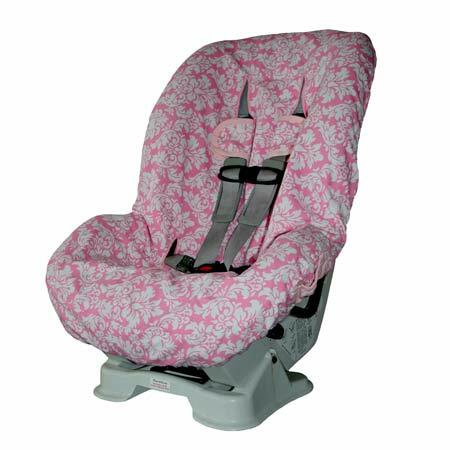 Consider using an infant car seat cover to make your seat just right for your baby.